If you live in beautiful Austin, Texas, you have the option for our full service FUNBOX. 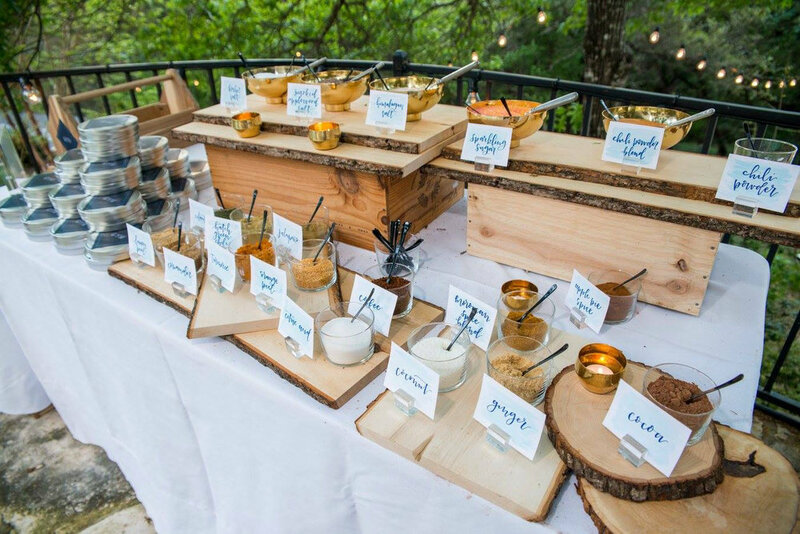 A Craven + Co. event expert will set up + breakdown your FUNBOX, and interact with guests to make sure things go smoothly. We will also bring the extras and display pieces that will take your FUNBOX to the next level + make it look amazing. A Craven + Co. event expert will arrive 30 minutes prior to your event to set up the FUNBOX display. We will provide display boards and frames for recipes and instructions, garnishes, and mixers. The attendant will guide guests through the FUNBOX experience for 2 hours*. SODABAR: Attendant will bring whipped cream, cherries, fruit slices and soda. HOTBAR: Attendant will bring hot drink dispensers, whipped cream, and cherries. *If you need additional hours, we can do that! Each additional hour is $50. You can add hours using the drop down menu. If you need rental glassware, please ask for a quote. A Craven + Co. event expert will arrive 30 minutes prior to your event to set up the SODABAR display. We will provide display rentals, whipped cream, maraschino cherries, fruit slice garnishes and Topo Chico for the DIY soda. The attendant will help guests through the experience for 2 hours. If you need additional hours, we can do that! Each additional hour is $50. A Craven + Co. event expert will arrive 30 minutes prior to your event to set up the HOTBAR display, including making the hot chocolate and hot cider. We will provide dispensers for the hot drinks, display rentals, whipped cream and maraschino cherries. The attendant will guide guests through the experience for 2 hours. If you need to add hours, we can do that! Each additional hour is $50.